If you’re on the search for the best 24-hour locksmiths in New York City, you’ve come to the right place. Pros On Call is a company that employs only the most experienced locksmiths (all technicians have a minimum of 5 years of professional experience) across the country, and we serve multiple service areas in each and every state and we have a local team here in NYC. Not to mention, our response times, use of high-tech equipment, and fully licensed, bonded, and insured team of local experts allows us to continue to set the bar in the industry. We understand that being a locksmith means that we’re providing a valuable service that may be required in the middle of the night. Instead of limiting our hours of availability, we are ready to roll as soon as someone reaches out to us for assistance. We understand that being a locksmith means that we’re providing a valuable service that may be required in the middle of the night. Instead of limiting our hours of availability, we are ready to roll as soon as someone reaches out to us for assistance. You’ll see a more detailed summary of our services below, or if you’re ready to reach out to us just give us a call. Homeowners, landlord, real estate agents, and tenants across the country have come to find out that our 24-hour locksmiths are some of the best in the industry. There’s no time to wait when you’re locked out or need a lock changed in the middle of the night. Let’s face the reality of the situation. 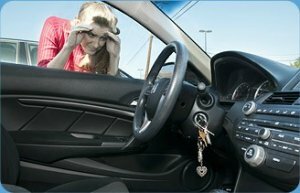 Your vehicle isn’t always going to play nice and there’s a time in everyone’s life where they either get locked out or have something go wrong with one of the locks on it. That’s why our team has made sure they know what it takes to provide high- quality mobile locksmith services for vehicles. No matter what you may need, we have the latest tools and equipment to ensure you get the best service offered in this modern day and age. You’ll find that our locksmiths are capable of laser key cut replacements, key fob replacement, transponder replacement, and so much more. We don’t believe in using aged techniques or cheap locks because we wouldn’t want it used on our vehicles. Even if you need our automotive locksmiths to assist you all the way out at the JFK Airport or the LaGuardia Airport, we are here for you. Many New York City businesses have developed an ongoing relationship with Pros On Call due to our diversified skill sets that enable us to provide any type of locksmith service that they may need. When it comes to business, it can’t be slowed down. And a whole lot more! We can help you choose the ideal system for your business whether you run a small local shop, a large factory, or you manage an office anywhere in the city. There’s no other choice than to go to one the leading local locksmith when you want things done right the first time. That’s why we ensure our customers are protected when they choose Pros On Call by being licensed, bonded, and insured. We mean business, and we’re letting the country know! Call us to learn more about our services or schedule an appointment. And, you can also book a locksmith service online quickly and easily. Don’t hesitate any longer, reach out to us to see exactly how we can take care of your needs! 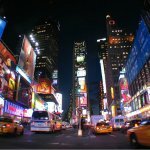 24-Hour Locksmiths In New York City https://prosoncall.com/new-york-locksmith/new-york-city/ 4.0/5 based upon 17 reviews.